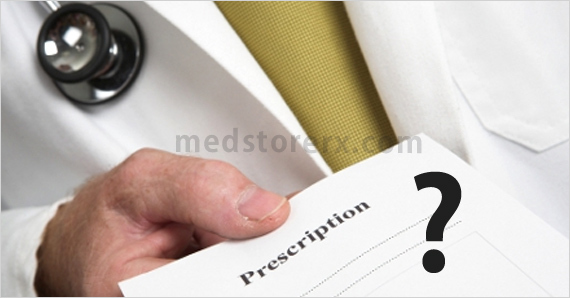 Why Doctor's Prescription Is Required? Home General Health Why Doctor’s Prescription Is Required? Conventional medicines are prepared by using synthetic drugs and other inactive ingredients. These synthetic drugs are nothing but the complex chemicals that are artificially prepared under a highly sterilized set-up. There are innumerable drugs that are prepared by pharmaceutical corporations to combat and manage various diseases. These drugs are launched in market after extensive clinical trials. But before that they have to undergo scrutinization by the authorized department of the drug regulatory bodies, such as the Food and Drug Administration (FDA) and World Health Organization (WHO). These drug regulatory agencies distinguish the drugs into two categories viz. prescription and over-the-counter (OTC) drugs. What are prescription and OTC drugs? Prescription drugs are those drugs that are prescribed by the doctor for a specific medical condition and are available at local drug stores or online pharmacy shops exclusively after providing a proper doctor’s prescription. The pharmacist denies giving the prescription medication unless you provide him/her a legal medical prescription. On the other hand, OTC drugs are those medications that can be acquired without providing the medical prescription. The FDA and WHO have distinguished the medications after considering their pharmacological action on various systems of the body, effectiveness and safety. Few antihistamines, antacids, painkillers, etc. are easily available as an OTC drugs, because they are safe and effective. These drugs are also listed under the essential medications that are required for basic health system. 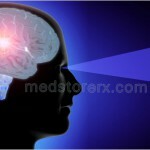 Now, there are numerous prescription drugs that are available only after providing medical prescription, such as antidepressants, antihypertensive agents, diabetic medications, steroids, drugs that acts on brain, heart, etc. and many more. Since, there are a vast number of branded and generic medications available in the market, a doctor’s prescription is mandatory to acquire them. Why you need a doctor’s prescription? For instance, antibiotics should be used exactly as prescribed by the doctor, because irregular use of anti-bacterial drugs can lead to antibiotic resistance. Medical prescription will help you use antibiotics for appropriate duration, so that you may not produce its resistance. Similarly, drug used for irreversible chronic diseases like diabetes, hypertension, etc. required prescription, so that you can use them aptly. If you want an OTC drug, you can easily purchase it, but it would be better if it is used after seeking a medical help, because after all it’s too a synthetic drug and haphazard use of it can lead to medical complications. In almost every country, there is a need of doctor’s prescription to acquire medications from local drug stores or online medical shops. Unless you show them the physician’s prescription, they will not allow you to purchase the medication. For more information on OTC and prescription drugs, you can go through the guidelines postulated by the FDA and WHO. It would be a smart and safe step to use any branded or generic medicine after consulting the healthcare professional and getting his/her approval for the same.